It feels good to be free, doesn’t it? Being an independent author comes with its own set of perks. The freedom of choice and action that you have with being an independent author cannot be found anywhere else. But when it finally comes down to the publication of the book, many feel slightly apprehensive. And it’s okay. If you’re having second thoughts about self-publishing, you’re not going mad. Traditional publication has been there for ages. It’s tried and tested. It’s what we usually think of when considering the publication of the book. Trying something slightly unorthodox like self-publication can, indeed, be a little daunting. But maybe you’re being a little too pessimistic. Look at the bright side. Self-publication has tons of advantages. It’s for this very reason that it has seen an explosion in the last few years. The biggest reason many choose to go down the route of self-publication is to retain complete creative control over the content and design of the book. It’s the same reason people prefer to work with a reputable ghostwriting service like Expert Book Writers. Working with a professional ghostwriter can allow you to dictate your terms and mould the output according to your wishes. The same is the case with self-publication. In fact, ghostwriting and self-publishing go hand in hand. You don’t have to settle on a compromise with the publisher. You don’t have to modify any aspects of the story you want to tell. You don’t have to worry about commercial appeal. Just do what like! Self-publication is an incredibly smooth ride. From finishing the first draft to reaching the prospective audience, you won’t face any hurdles that authors commonly face with more traditional forms of publication. If you’re choosing to publish your own eBook on Amazon, it may take as little as four hours. At most, it would take three days. This is nothing compared to months, and even sometimes years, of wait when it comes to editing and publication through traditional means. Another massive difference between traditional and self-publication concerns royalties. Consider this, for instance. If you choose to go down the traditional publication route, the royalties would range somewhere around 7 to 25 percent. On the other hand, if the price of your book is in the range of $2.99 and $9.99 on Amazon, you can receive a royalty of up to 70 percent. From 7 percent to 70 percent, the difference is huge. It’s no wonder why many choose to publish their books through Amazon. Being able to meet deadlines is a huge part of being an author. Even the most successful authors in the world sometimes feel the pressure of those deadlines getting to them. That’s not it. If you want to publish early, you’ll find your path blocked by a ton of correspondence with your agents, editors, and publishers. It’s a bureaucratic mess that has nothing to do with the creative aspect of writing a book. On the other hand, Expert Book Writers does away with all that. As an author, you only focus on the creative aspect of content creation. You can receive daily drafts from the writers and communicate your concerns on a daily basis. You control the timeline of the project, depending on its length and complexity. You can’t do that with more traditional forms of publication. If you want assistance in writing your book, you can hire professional ghostwriters through Expert Book Writers. 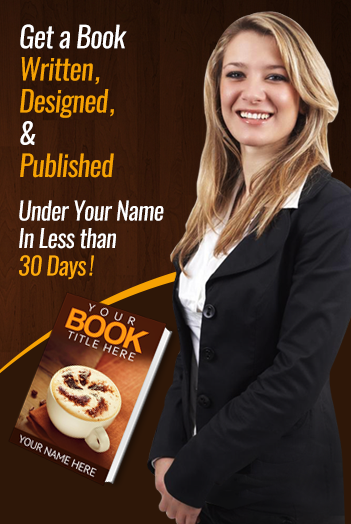 We handle all aspects of writing books from writing to editing and from proofreading to publication.